One of the most overlooked and misunderstood terrestrials in Yellowstone Country fly fishing is the Spruce Moth. 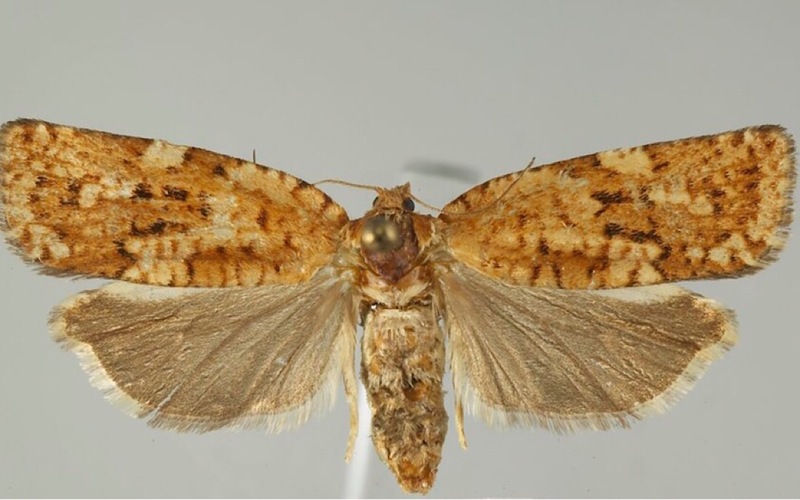 Commonly known as the Western Spruce Budworm Moth (Choristoneura occidentalis Freeman) these native insects are naturally occurring and found throughout the Rocky Mountain West from southern Canada to Arizona. From late July through August you can see these size 12-14 moths tumbling across the water in fisheries that are lined by coniferous forests. Trout love feeding on Spruce Moths, and this activity produces excellent dry fly fishing at a time when most of the summertime hatches have finished for the season. Adult moths are about 1⁄2-inch (13 mm) long, with a wingspan of approximately 1 inch (22-28 mm). Both sexes are similar in appearance, although females may be slightly larger. The wings are variable in color, ranging from gray to orange-brown; they also may be banded or streaked, and some individuals may have a conspicuous white dot on the wing margin. Spruce Moths are endemic parasites that feed on the new growth of Douglas Fir, Subalpine Fir, and Engelmann Spruce trees. Adult moths hatch from their pupal cases in late July or early August. After emerging the adults are viable for 7 to 10 days in which time they mate, deposit eggs, and die. Females deposit their eggs in orderly rows on the underside of conifer needles. Larvae hatch from these eggs in as little as 10 days, and seek shelter in the bark and lichen on tree trunks and limbs. Here the larvae spin a silken structure known as a Hibernicula, and remain inactive through the winter. In spring (May-June) the larvae venture out from their hibernicula to feed and continue maturing. Spruce moth larvae will feed on newly sprouting foliage sometimes spinning webs of silk to encapsulate multiple buds, shoots, or cones. It takes 30-40 days of feeding for a larvae to become fully grown at which time they pupate within the webs of silk they had formed previously to feed. Western Spruce Budworm Moth infestations are cyclical and their abundance is regulated primarily by predation and environmental conditions. Spruce Moth larvae have many natural predators including spiders, beetles, wasps, chipmunks, squirrels, and a host of birds. Freezing temperatures also play a key role in regulating populations. Though, it’s not the -30 and -40 degree arctic blasts of winter that kill Spruce Moth larvae. They spend the winter tucked away in their warm, dry hiberniculas. Rather, it’s freezing temps in May and June, after the larvae have emerged and are on the feed, that prove fatal. Abundances of spruce moths vary from year to year, but even on years with mild infestations this is an important terrestrial to imitate if you are fishing in August on waters like the Madison, Gallatin, Yellowstone, Lamar, Hebgen, or Henry’s Fork, just to name a few. They can also be an important insect to be prepared for on many of our regional stillwaters.